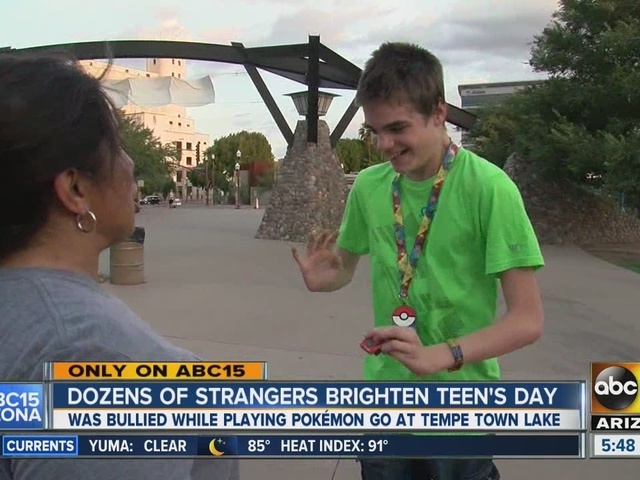 Dozens of strangers came together to brighten a teen's day after he was bullied at an Arizona park last weekend while playing Pokemon Go. 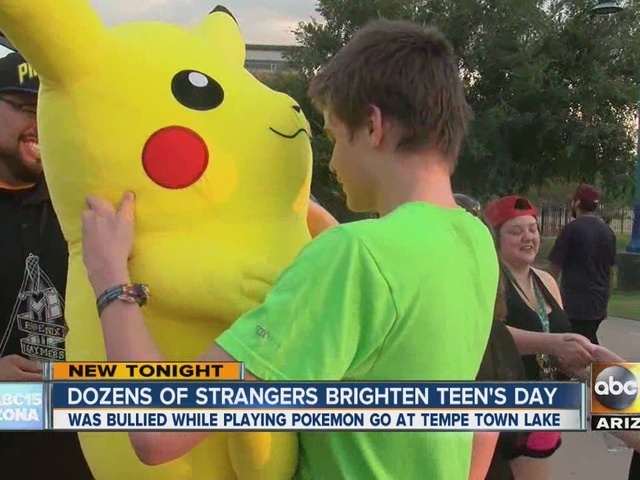 The teen's sister posted about the attack on the Arizona Pokemon Go Community Facebook page. She says her brother, who lives with autism, and mom were playing Pokemon Go when two college-age guys squirted barbecue sauce on the boy, and said, "Yes, we got the r-word." Hundreds of people responded to that post with support for the family and invited 15-year-old Ty to play the game with them at Tempe Beach Park. The mother was overcome with emotion. "I'm so grateful. I'm just so grateful because if this wouldn't have happened, we would still be hiding in our house like a lot of families like ours do. And I just can't thank everyone enough," said Angie Swartout, Ty's mother. The community members even brought gifts for the teen. Swartout says this has inspired her to raise autism awareness in the community.